Building a specific tone is a journey that takes both time and effort. There are many factors that come into play here, from your guitar’s tonewood and pickups to your choice of amplifiers. However, once you have done just about everything you can to bring the tone profile of your rig a bit closer to your ideal configuration, there is one more modification that helps. We are talking about bass guitar speakers. Speakers you get in your cabinet or combo are usually voiced to deliver a more neutral type of sound. Swapping them out for an aftermarket set can really extend the range of your gear. Today we are going to check out some of the best bass amp replacement speakers and talk a bit about what they have to offer. Recommended for bass guitar. Excellent in either sealed or vented enclosures. 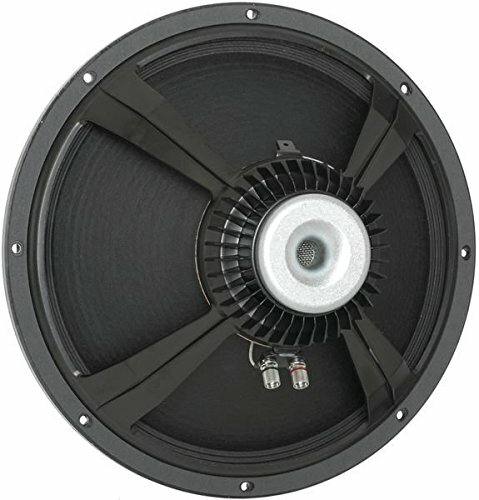 Eminence is one of the most popular brands you can turn to for aftermarket bass guitar speakers. Their BassLite series C2515 is a true beast. This big ole’ beast measures 15 inches in diameter and is rated for 300 Watts. With the impedance of 4 ohms, you are looking at a decent compatibility with various amplifiers. What makes BassLite C2515 so attractive is its refined tone. On average, a 15-inch speaker is going to be a brute that isn’t all that capable of giving you much definition. However, Eminence BassLite C2515 reduces that effect to a surprisingly good level. This speaker was made to move some serious air, meaning that you can expect a lot of power and warmth. If you need a real heavy hitter, Eminence BassLite C2515 is something you should definitely check out. Our next pick also comes from Eminence. This time, we are looking at their Legend series, which has been extremely popular ever since it was released. The Legend BP122 is the 12 inch representative of this family. For the most part, installing this transducer in your speaker cab will give you a more refined tone that is still going to be pretty neutral. Even though Eminence speakers are found in a lot of cab models out there, their Legend series are still a step up from the OEM. The absolute best thing about this family of speakers is the fact that they come in all standard sizes and ohm ratings. This way you can you find whatever combination you need and easily boost your sound to a new level of quality. Those looking for a smaller package that is still capable of moving some serious air will find Celestion’s BL10 to be a perfect match. We are talking about a ceramic ferrite design which allows for more extended lower end of the range. This speaker is rated for 100 Watts @ 8 ohms, which makes it a great choice for smaller speaker cabs or combos. More often than not, a 10-inch unit will be a bit sharper and generally brighter in nature. However, Celestion’s custom voicing on this speaker allows it to reach rather deep in the frequency range. It offers a great amount of definition with just the perfect balance of warmth and brightness. Some will say that these are not ‘true’ bass drivers, but that is a pretty far-fetched claim. 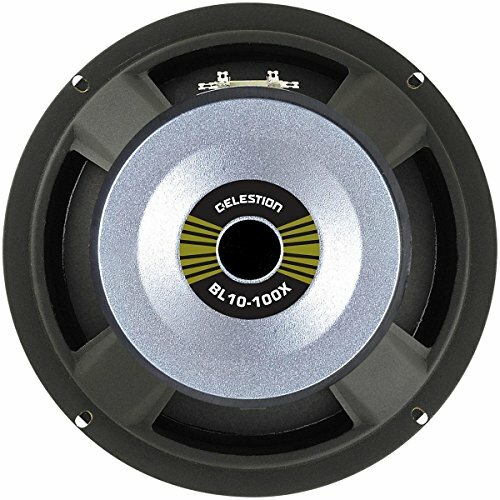 Celestion’s BL10 series might be a focused on a range that is generally considered too wide for certain bass players, but these things simply perform great. 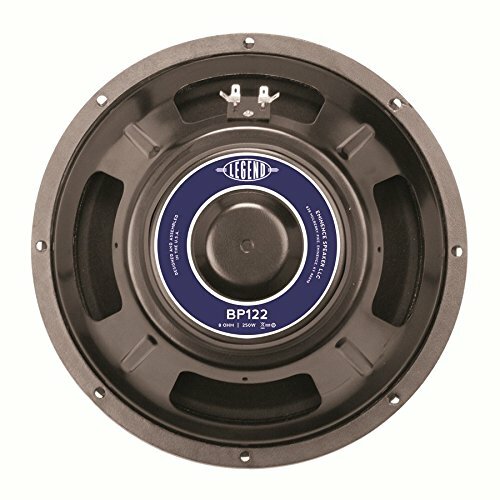 How To Choose The Right Bass Speaker? Before we go into which speaker designs work with specific music genres, we have to cover the technical side of swapping speakers in your cab. Getting this right is pretty important. If you mismatch specs, you are running a risk of damaging your equipment unless it supports a broader range of outputs. When it comes to specs, your primary concern is going to be the power rating of the speaker and its impedance. You are going to want to get speakers that match your previous ones in Wattage and Ohms. Put more powerful speakers and you are running the risk of breaking the cab and possibly damaging the amp. If you put ones which are weaker, you will get a far less satisfying tone. Every speaker cab features a specific mounting system. To be more specific, we are talking about the holes used to anchor the speakers. This is a more forgiving factor, but you should try to find aftermarket speakers which fit the existing hole layout. As you probably know by now, your choice of cabinet speakers for your bass rig will alter the sound you get from that setup. The general rule of thumb is that smaller drivers give you a tighter tone with more exposed mids, while larger transducers tend to dig deeper and generally have more girth in the lower end of the spectrum. Standard that most bass players follow these days is a 4×10 config because it offers great tone for slapping works better with picks. At the same time, having four 10 inch speakers covers a lot of conventional genres as well. However, those who need a wider range usually go with 12 inch or even 15-inch units. These are perfect for muddy driving rhythms in blues or jazz, where you can saturate a lot of the mix on your own. Naturally, these are just general outlines. Each speaker’s voicing will be what matters the most. Swapping bass amp speakers is among those last upgrades you can do to get that perfect tone you’ve wanted for a long time. Even though you need to apply some caution when doing this, finding a decent set of aftermarket transducers isn’t too tricky. As long as you follow a set of basic rules, you should be good.